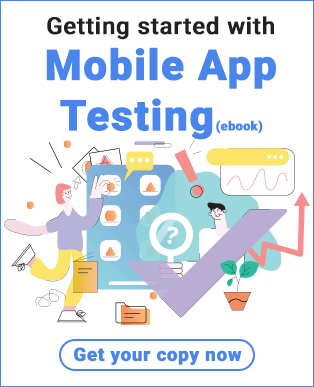 What is Mobile App Testing and why is it needed? In the year 2020, there will be around 5.5 Billion mobile users which accounts for 70% of the world population. More mobile users mean more apps and more competition and to lead the competition we need to make sure that our app is flawless. If nearly half of the bugs in your mobile app are discovered by the users, your app’s ratings are going to decline and so are the downloads. This is why the right choice of mobile app testing techniques must be followed in the decision making process. Today, the mobile app market is highly competitive. To be better every day and survive for long, the QA team has to follow a mix of plans that would be responsible for taking the right testing decisions. The testers have to formulate testing strategies to face every situation fearlessly and immaculately. Mobile apps have to be perfect before reaching to the end users so there have to be certain decisions to be taken regarding the testing plan. The following model of mobile app testing plans can be considered for better execution. In the planning Stage, decisions like Selection of Device matrix, Test Infrastructure (In-house vs. Cloud, Simulator vs. Real device), Testing scope, Testing Tools, Automation (Framework/Tool) are taken. Since it is the first stage, it is the most important one as all the further stages would depend on these decisions. In the next stage which is execution and review, decisions regarding Test Case Design, Testing of user stories, testing types as per Sprint Objective, Progressive Automation, Regression Testing, Review and course correction are taken. It is an important factor, choosing the device as per your target audience’s behavior matters in decisions regarding resting. There are different approaches to the selection of thedevice matrix . Approach 1- Selection of Devices based on market research. Determine the set of devices with your target operating System that will have the highest occurrence of accessing your application by using app purchase data and analytics. 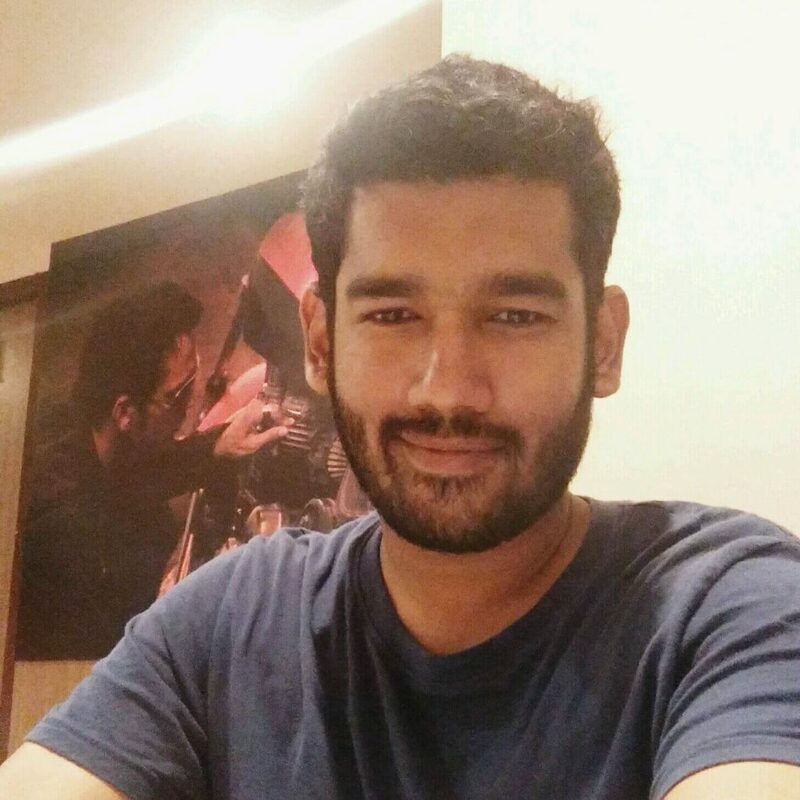 For Example- if you support both Android and iOS, and your application will be used across millions of Samsung, Google Nexus and Moto G devices but only thousands of iPhones, you prioritize testing on the Google Nexus and Moto G above the iPhone device. So, this test plan will consist of testing on devices which are prioritized by your market analysis. This is another element of the planning stage. This focuses on Strategizing on the Infrastructure components like hardware, software, and network which are an integral part of test infrastructure. It ensures that the applications are managed in a controlled way. Real device, Emulators or Mobile cloud-Where to test? Choosing the right platform to test as per the testing needs is very important i.e whether to test on the Real device or an emulator or on the cloud. Testing on a real device is anytime more reliable than testing on a simulator. The results are accurate as real-time testing takes place on the device in a live environment. It carries its own disadvantages as it is a costly affair and not all the organizations are able to afford a complete real device laboratory of their own. Live Environment- Testing on real devices enables you to test your application on the actual environment on which your target audience working on. You can test your application with different network technologies like HSPDA, UMTS, LTE, Wi-Fi, etc. User experience- Testing on Real devices is the only way to test your Real-time User experience. It cannot be tested through Emulators or devices Available on Cloud. Maintaining the matrix- You cannot maintain such a huge matrix of mobile devices in your own test lab. Maintenance- Maintaining these physical devices is a big challenge for organizations. Network providers- There are more than 400 network providers all over the world. Covering all these network providers in their own test lab is impossible. Locations- You cannot test how your application behaves when it is used in different locations. The emulator is another option to test mobile apps. These are free, open source and can be easily connected with the IDE for testing. The emulator simulates the real device environment and certain types of testing can be run on it easily. However, we cannot say that the results of emulators are as good as those of real devices. It is slower and cannot test issues like network connection, overheating, battery behavior, etc. Price- Mobile emulators are completely free and are provided as part of the SDK on every new OS release. Fast- As Emulators are available on the local machine so they run faster and with less latency than Real devices connected to a local network or devices available on the cloud. The wrong impression- Even if you have executed all test cases on emulators, you cannot be 100 % sure it will actually work in the Real environment. Testing Gestures- Gestures like Pinching, Swipe or drag, long press using the mouse on simulators are different in using these gestures on real devices. We cannot test these functionalities on emulators. Can’t test Network interoperability- With the help of Simulators you cannot test your application with different network technologies. Like HSPDA, UMTS, LTE, Wi-Fi, etc. Mobile cloud testing can overcome the cost challenges like purchasing and maintaining mobile devices. It has all different sets of device types are available in the cloud to test, deploy and manage mobile applications. The tests run virtually with the benefit of choosing the right type device-OS combinations. Privacy, security, and dependency on the internet can be a challenge in this case but it has many benefits that can cater to different testing scenarios. The organization can choose the right mix of above-mentioned platforms as every platform carries its own advantages and disadvantages. Sometimes a combination of real and emulators is preferred and sometimes all three can be considered as per the testing strategy. Devices Availability- Availability of Devices and network providers is a big gain for cloud users. Maintenance- When you are using cloud services. Forget about maintenance. These providers take responsibility for maintaining these devices. Pay per use- You don’t need to buy a device. You only have to pay for the duration you use that device. Parallel Execution- You can test your complete test suite on multiple devices. Nowadays, there are so many automation tools available in the market. Some are expensive and some are freely available in the market. Every tool has its own pros and cons. Choosing the right tool for testing would reduce the QA team effort providing seamless performance at the same time. 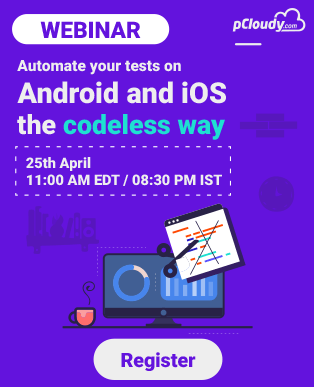 We will discuss the best mobile app testing automation tools for iOS and Android platforms in 2018. 1. Appium: It is one of the preferred MAT tools by testers. It is open source and free tool available for Android and iOS. It automates any mobile app across many languages and testing frameworks like TestNG. It supports programming languages like Java, C# and other Webdriver languages. It provides access to complete back end APIs and database of the test codes. -Supports languages like Ruby, Java, PHP, Node, Python. 2. Robotium: It is a free Android UI testing tool. It supports in writing powerful black box test cases for Android Applications. It supports Android version 1.6 and above. The tests are written in Java language and basically, Robotium contains a library of unit tests. Apart from this, Robotium takes a little more effort in preparing tests, one must work with program source code to automate tests. Robotium does not have play record and screenshot function. -Numerous android exercises can be executed simultaneously. -Syncronises easily with Ant or Maven to run tests. 3. Calabash: It is an open source MAT tool allowing testers to write and execute tests for Android and iOS. Its libraries enable the test codes to interact with native and hybrid apps. It supports cucumber framework which makes it understandable to non-tech staff. It can be configured for Android and Ios devices. It works well with languages like Ruby, Java, .NET, Flex and many others. It runs automated functional testing for Android and ios. It is a framework that is maintained by Xamarin and Calabash. 4. Espresso: It is a mobile app testing automation tool for Android. It allows writing precise and reliable Android UI tests. It is a tool targeted for developers who believer automated testing is an important part of CI CD process. Espresso framework is provided by the Android X Test and it provides APIs for writing UI tests to simulate user interactions on the target app. Espresso tests can run on Android 2.33 and above. Provides automatic sync of test actions with the app UI. 5. Selendroid: An open source automation framework which drives off the UI of Android native, hybrid and mobile web application. A powerful testing tool that can be used on emulators and real devices. And because it still reuses the existing infrastructure for web, you can write tests using the Selenium 2 client APIs. 6. Frank: Is an open source automation testing tool for the only iOS with combined features of cucumber and JSON. The app code needs not to be modified in this tool. It includes Symboite live app inspector tool and allows to write structured acceptance tests. It is tough to use directly on the device but is flexible for web and native apps. It can run test both on simulator and device. It shows the app in action by showing its recorded video of test runs. Above are a few promising, popular and most commonly used and mobile app testing automation tools. Choice of tools certainly resolves many testing-related problems faster and efficiently. Implementing these tools requires skill and experience and so an organization needs to have a proper testing team in place to make all of this possible.